Come on by for great food and live music every night! The Old Prague is established and family owned since 1967. After emigrating from Czechoslovakia to the United States in the late 1960’s, Vera Lich took over the restaurant and implemented her own family recipes. Her son Michael now follows those same recipes along with his own. Vera put the restaurant on the north east Ohio map by receiving multiple awards over the years for unique dishes, as well as European ambience, and friendly service. 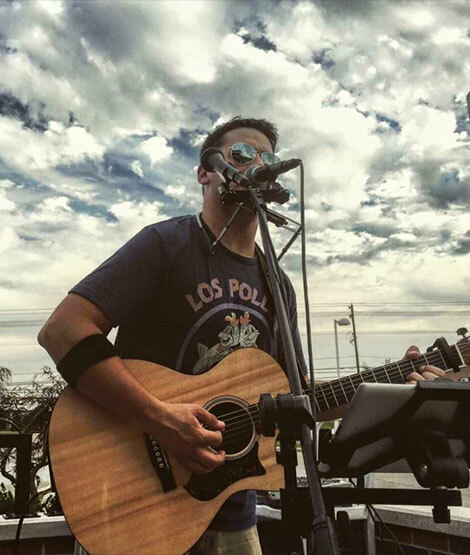 In 2015, Michael brought more life to the town by adding an outdoor patio with a bar and stage. Old Prague now has live music 7 days a week in the summers and outdoor dining as well. We are located in the middle of historical and beautiful Vermilion OH, only minutes from the beach! At Old Prague, Vera and Michael strive for excellency and to provide every patron with a unique and memorable experience! Dobrou Chut! 5 Stars, definitely! See my post on the website. The current chef/owner continues the excellent traditions established by his mother, the founder of The Old Prague Restaurant. If there are any newspaper/magazine critics out there, you need to take notice of this sterling establishment. The food is extraordinary! Love everything about Old Prague! Stopped by with another couple for dinner last night and we all enjoyed our meals. The Chicken Paprikas was delicious, the Weiner Schnitzel divine & the Lake Erie perch was out of this world. Our server was very sweet & accommodating. They have a nice wine selection and the desserts were very tempting but we didn't leave any room. Prices are reasonable too. We've been longtime customers and have never been disappointed! Visited the Old Prague for the first time Wed night for dinner and music on the patio. Really loved everything about it. The food was amazing, the deck and seating with an outdoor band was really nice, the staff was the best!! I highly recommend this place. We'll be back very soon and continue to return. I told a friend today this is gonna be our new Wed night hang-out. Been 30 years since I've been here as a child. The food was as I remember with my grand parents and parents. Very interesting how a taste so long ago can bring back your childhood memories. If you are wanting authentic Czech food this is the place for you. © 2018, Old Prague Restaurant. All Rights Reserved.